The floating stand base uses magnetic force and electricity to do the “magic“, and it actually consists of two parts: the fluffy plate as the figure stand and a ground base with the magnet and AC adapter. The diameter of the plate is measured at around 56mm and its load capacity is about 100g or less. 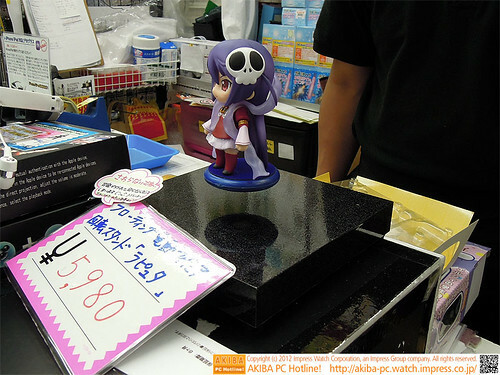 As you can see in the pics, this awesome stand is priced 5980 Yen and available for purchase at Akihabara, Japan. 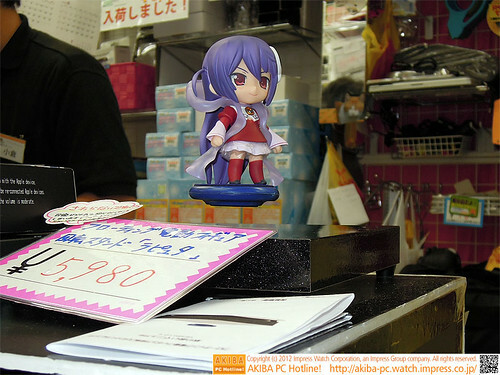 Kindly see the source page for more info (in Japanese) as well as even more pics. 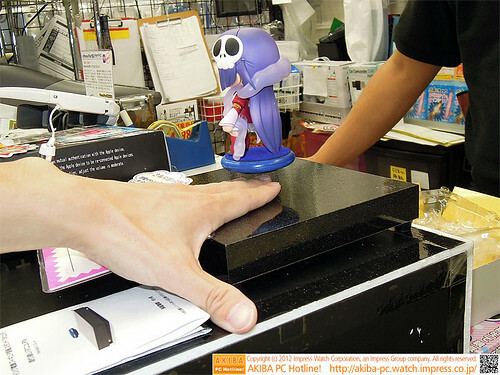 This entry was posted in News and tagged nendoroid, stand base. The future is here! And for small figures of all things? Awesome! 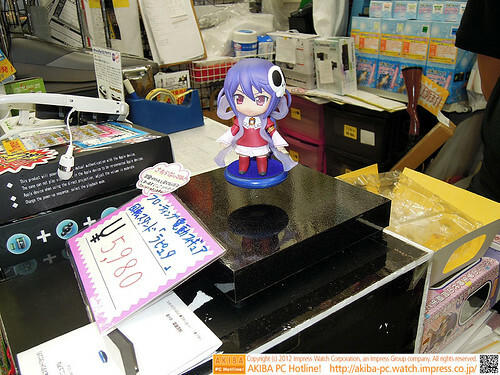 It seems that people never really think to incorporate this floating platform equipment for figures. It looks great though. Looking at the price, I might try to find someone who can make this for me for lower price.